Edward J. Greene, Jr., a Riley Riper Hollin & Colagreco shareholder, is a trial lawyer with the firm’s Exton office. He represents national, regional and local corporations throughout southeastern Pennsylvania in complex civil litigation. Ed appears on his clients’ behalf in federal and state courts and before administrative agencies. His extensive trial experience includes cases involving real estate litigation, contract disputes, construction litigation, shareholder and partnership litigation, and estates and trusts litigation. In the area of real estate litigation, he handles all types of commercial real estate disputes, including land use appeals, title disputes and brokers’ fee disputes. 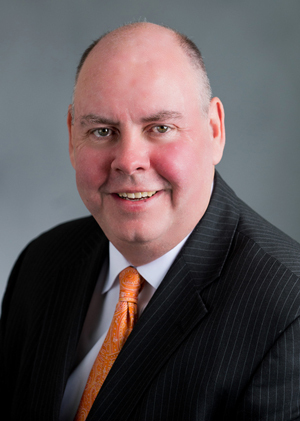 Ed, who joined Riley Riper in 1994, began his law career as an assistant district attorney in Chester County, rising to become the deputy district attorney in 1985. In that role he was responsible for the successful prosecution of a wide variety of felony trials, including homicide trials. Ed received his Juris Doctor from Widener University School of Law and his Bachelor of Science from St. Joseph’s University.